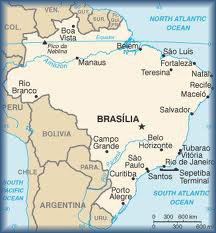 Brazil, or the Federative Republic of Brazil, is South America’s largest country and the fifth largest country in the world; with over 190 million people and a total area of 8,514,876.599 km2 spanning three time zones. Its very diverse topography includes; hills, mountains, plains, highlands, and scrublands. Bounded by the deep blue Atlantic Ocean on the east, its coastline of over 7,491 km of dazzling white-sand beaches is lined with palm trees, and dotted with more than 1,000 tropical islands, vibrant metropolises and magical colonial towns. It is bordered by all South American countries except Chile and Ecuador which makes it the perfect hub to visit famous South American sights, such as, the Andes, Patagonia, Macchu Pichu, and Buenos Aires. It comprises a wide range of weather conditions across its massive land, which includes the five major climatic subtypes: equatorial, tropical, semiarid, highland tropical, temperate, and subtropical. The variations produce environments ranging from equatorial rainforests in the north and semiarid deserts in the northeast, to temperate coniferous forests in the south and tropical savannahs in central Brazil. Thi s environmental paradise offers dazzling sights of a different flavor: waterfalls, red-rock canyons, and crystal-clear rivers – all just a small part of the amazing landscape and ecosystems. The country has 62 National Parks and hundreds of conservation units. 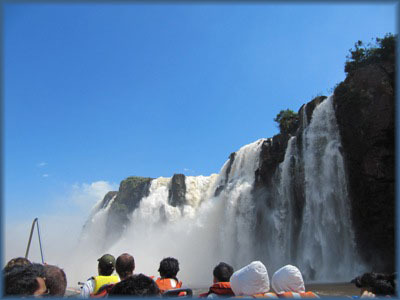 It’s more famous attractions are the Amazon River and Rainforest; Iguaçu Falls; and the Pantanal, they host some of the greatest biodiversity, natural environments, and some very interesting wildlife which includes a variety of protected habitats. 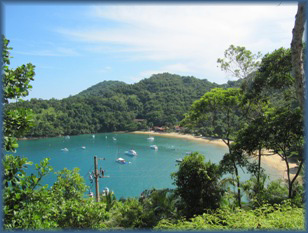 The region also offers the opportunity for adventures, such as, kayaking, rafting, trekking, snorkeling and surfing. 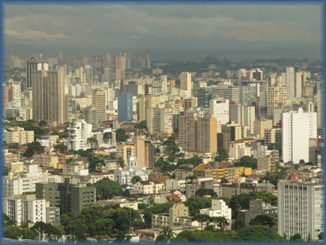 Brazil was colonized by Portugal in April 1500 when the fleet commanded by Pedro Álvares Cabral landed. The Portuguese encountered natives divided into several tribes, most of whom spoke languages of the Tupi–Guarani family. The colonial bond was first broken in 1808, when the capital of the Portuguese Kingdom was transferred from Lisbon to Rio de Janeiro by the royal family, after Napoleon’s invasion of Portugal. Its independence from Portugal was finally achieved in 1822. Today, Brazil’s Constitution defines it as a Federal Republic, formed by the union of the Federal District, the 26 States, and the 5,564 Municipalities. 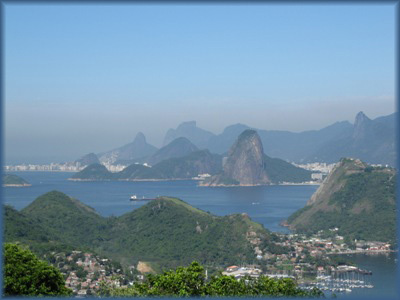 It is the largest Portuguese-speaking country in the world and the only Portuguese-speaking country in the Americas. 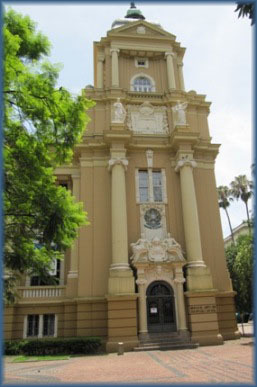 Portuguese is the official language throughout the country, except, for the municipality of São Gabri el da Cachoeira where the indigenous language, Nheengatu, has co-official status. The indigenous influences can be found everywhere in the culture, from cuisine to vocabulary. There are still many indigenous groups and tribes living in the country. The traditional lifestyle and graphic expressions of the Wajãpi indigenous group from the state of Amapá were proclaimed a Masterpiece of the World's Intangible Heritage by UNESCO. For hundreds of years, Brazilian culture has been in the making by people with a very diverse ethnic and cultural heritage blending from the colonial Europeans, the African salves brought over, and mainstay indigenous natives of this land. It is home to a people whose heritage is so rich across its varied geography that this richness is featured in the culture from region to region. 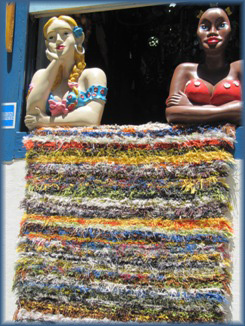 You can see this in the music, where there are many styles, such as, choro, samba, caipira, forró, bossa nova and Rio’s funk music. Capoeira, a mixture of martial arts, dance, music and game, was brought to Brazil by African slaves from Portuguese Angola. It can be seen and practiced in many Brazilian cities. Though the Catholic religion is the most prominent religion in Brazil, Candomble and Umbanda are religions with African roots that have survived prejudice and persecution and still have a significant following. Their places of congregation are called terreiros and many are open to visit. It is safe to say that Brazil is famous for its beautiful beaches, festive lifestyle, and its annual Carnaval in Rio de Janeiro, Salvador, Recife and Olinda, and its love for football. But the cuntry offers great diversity, from the very urban São Paulo to the cultural rich Pernambuco and Bahia, the untamed Amazon rainforest and the magical Iguaçu Falls, there is lots do.